Cléry-sur-Somme is a small village to the North-West of Péronne in the Somme Region. 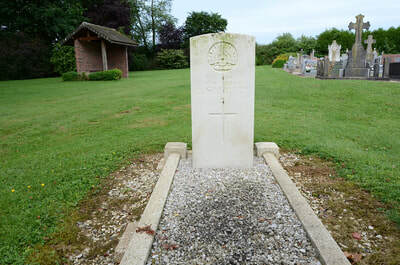 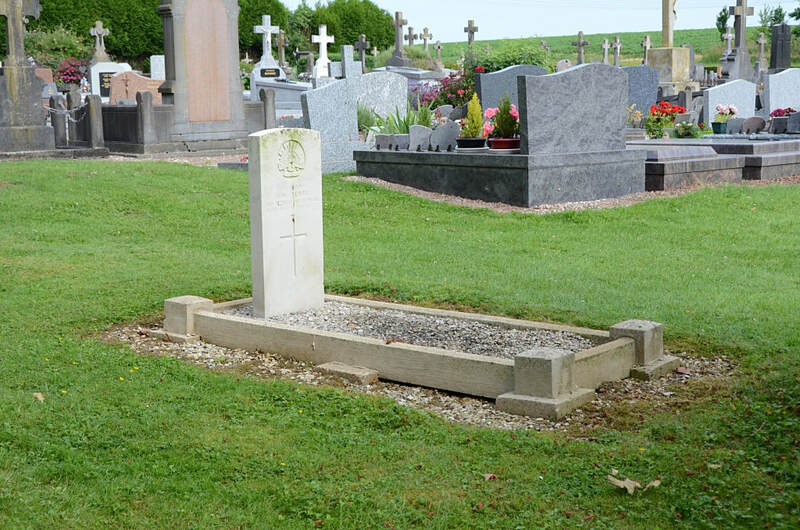 The Communal Cemetery is located to the west of the village on the Le Bas du Chemin de Feuill. 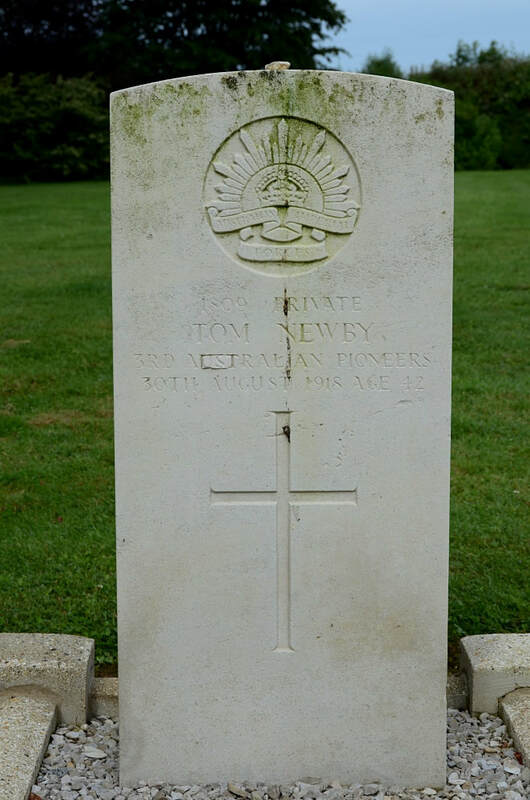 1809 Private Tom Newby, Australian Pioneers, died 30th August 1918, aged 42. 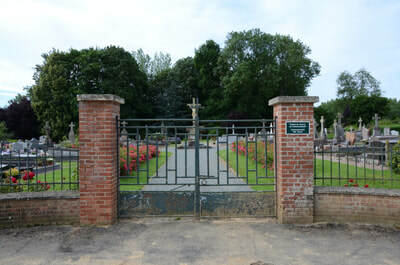 Son of Thomas Newby, of 82, Natal Rd., Streatham, London, England.